I am madly in love with Indochina. As development gradually takes its course, this region managed to reverently preserve its rich cultural heritage - making any travel experience here both eye-opening and humbling. I returned to Cambodia for the second time, after having traveled to Siem Reap two years ago to explore the majestic temples and ancient relics left behind by the Khmer Empire. Phnom Penh is noticeably more dynamic when compared to Siem Reap. Buildings are taller, more cars occupy the roads, while the famed NagaWorld sits loftily in the heart of the capital. 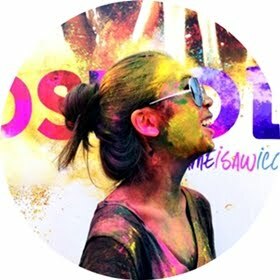 From the very moment you set foot here, you have been extended the invitation to immerse in the bustling metropolis' offbeat adventures. Fortunately, the historical landmarks in this city are plentiful and undeterred by modernization. Listed below are the top 6 historical places to visit in Phnom Penh for those seeking to learn about this exotic country and how it has come to be. A former Killing Field, Choeung Ek is a mass grave for victims killed during the Khmer Rouge between 1975 and 1979. Located 17 kilometers south of Phnom Penh, the site contains 8,895 bodies - most of them were of former politicians imprisoned by the Khmer Rouge regime. Today, it serves as a memorial and is marked by a notable Buddhist stupa filled with over 5,000 human skulls. Fragments of bones and items of clothing are visible in the pits. 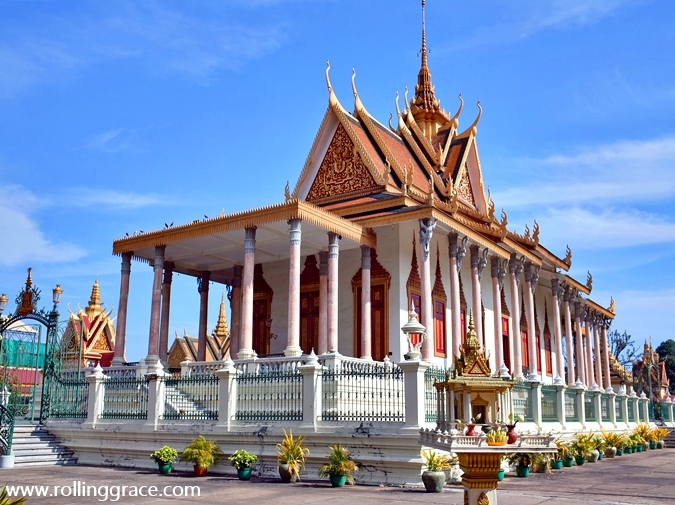 The Royal Palace serves as the residence of the King of Cambodia since its construction in 1866. It showcases exemplary Khmer architecture with minor French influences. The complex is also home to important monuments and features such as the Temple of the Emerald Buddha, the throne hall, stupas, towering spires and mural paintings. 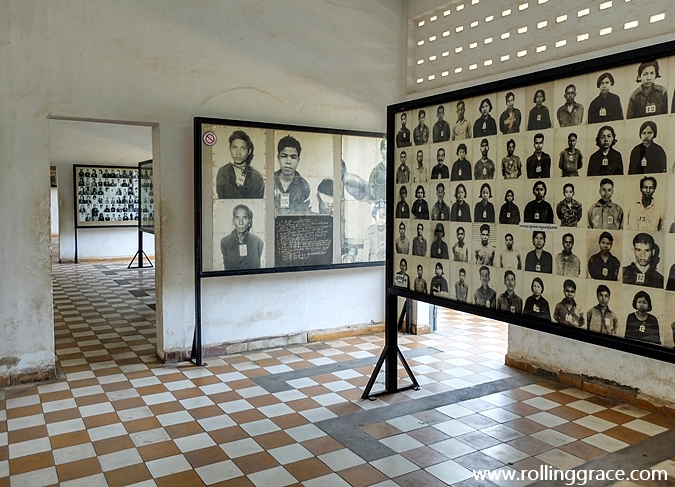 Tuol Sleng is a museum in Phnom Penh which chronicles the Cambodian genocide. It is a former high school which was converted into the notorious Security Prison 21 (S-21) by the Khmer Rouge regime. Translated to be the "Hill of the Poisonous Trees", Tuol Sleng was just one out of at least 150 execution centers that was used to execute more than 1.7 million people. Officially known as Wat Ubosoth Ratanaram or Temple of the Emerald-Crystal Buddha, the Silver Pagoda is located at the south side of the Royal Palace. It was built using the Grand Palace in Bangkok as a model and it houses a sacred emerald green crystal Buddha. The surrounding wall is painted with murals of the Reamker (of the Ramayana) which was completed in year 1904. Located on the Sisowath Quay, Wat Ounalom is the center of Cambodian Buddhism and it is the most important wat in Phnom Penh. Built in 1443, the stupa on its main complex is believed to contain an eyebrow hair of Buddha and an inscription in Pali. The National Museum of Cambodia the largest museum of cultural history and the leading archaeological museum in the country. Its contains a collection of over 14,000 items, including Khmer sculptures, ceramics, bronzes, and ethnographic objects. Which of the above is your favorite historical destination in Phnom Penh?